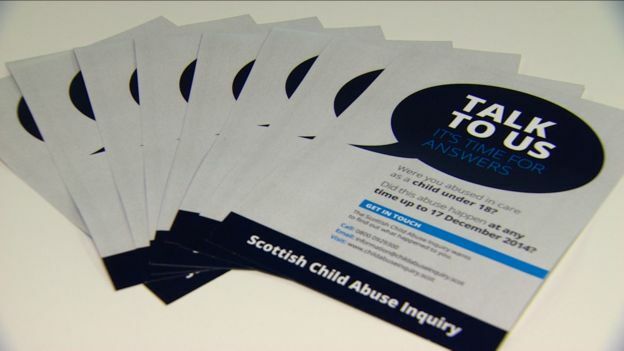 Scottish child abuse inquiry witnesses ‘deserve answers’ – WHERE IS THE OUTRAGE? The credibility of the Scottish government’s child abuse inquiry is at risk after a key panel member resigned, an abuse survivors group has said. Psychology professor Michael Lamb stood down on Tuesday over what he claimed were “repeated” threats” to the inquiry’s independence. Helen Holland, from In Care Survivors, said those who had already given evidence deserved answers quickly. The Scottish government has rejected Prof Lamb’s comments. The Scottish Child Abuse Inquiry – which concerns historical allegations in Scotland – will examine the extent of abuse of children in care, and identify any systemic failures. It launched a formal call for evidence in March, but has already heard from some seriously ill or very elderly survivors. Ms Holland told BBC Radio Scotland that she would like to hear in what way the professor felt the inquiry process was being hindered. Ms Holland said she had co-ordinated a lot of survivors to give evidence to the inquiry. Prof Lamb also accused the Scottish government of delaying or preventing the appointment of “crucial” members of staff. I am not surprised he has quit.. Fair play to him.. He has shown he has INTEGRITY & will not be included in the cover up & he had the balls to say it like it REALLY IS. HOW DARE THEY?! WHO THE HELL ARE SCOTGOV TO JUST DISMISS WHAT THE EXPERTS SAY? THEY ARE CALLED FUKIN EXPERTS BECAUSE THEY ARE EXPERTS! OMG!! PROF LAMB HAS VERY CLEARLY TOLD US WHAT THE PROBLEM IS. “A spokesperson for the Scottish government said on Tuesday”: How can this be taken seriously if the person is not identified? Anybody can claim to speak on behalf of anyone else.